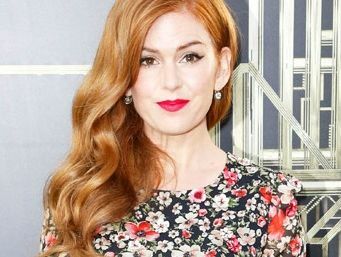 ISLA Fisher is reportedly pregnant. The 'Confessions of a Shopaholic' star and husband Sacha Baron Cohen are said to be expecting their third child together and the actress is already through her first trimester. A source told Us Weekly magazine: "She's around three months along." Isla - who already has daughters Olive, six, and Elula, four, with Sacha - is said to be cutting back on her working commitments already. The source added to the magazine: "She pulled out of 'Now You See Me 2'. "Production starts in November and she knew she wouldn't be able to do it." Isla has previously admitted she prefers taking on supporting roles in movies these days, not only because they are "interesting" but also because they allow her to be around her family more. The 'Great Gatsby' star said: "Family is 100 per cent my top priority. So I'm much more comfortable doing supporting roles right now. "And often. They're the most interesting. You get to be a character actress." The Australian beauty breast-fed both her daughters until they were two years old and admitted she loved the "bond" it created between herself and her kids. She has said: "What I loved about breast-feeding was that bond of one-on-one time. The serotonin that's released calms you down and connects you to the baby."